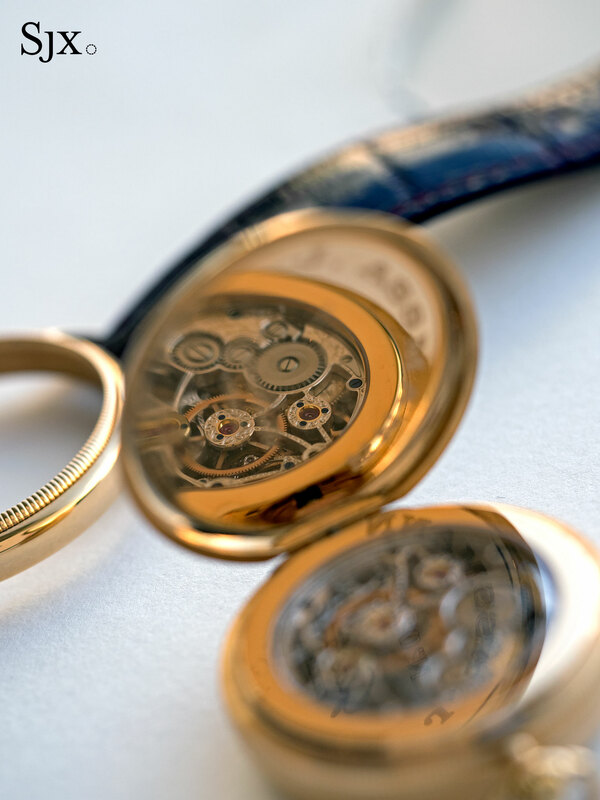 With over 300 lots in the catalogue, the upcoming Christie’s Important Watches & An Evening of Vintage Watches is typical of auctions in Hong Kong, being a fairly even blend of modern and vintage watches, as well as jewelled timepieces. 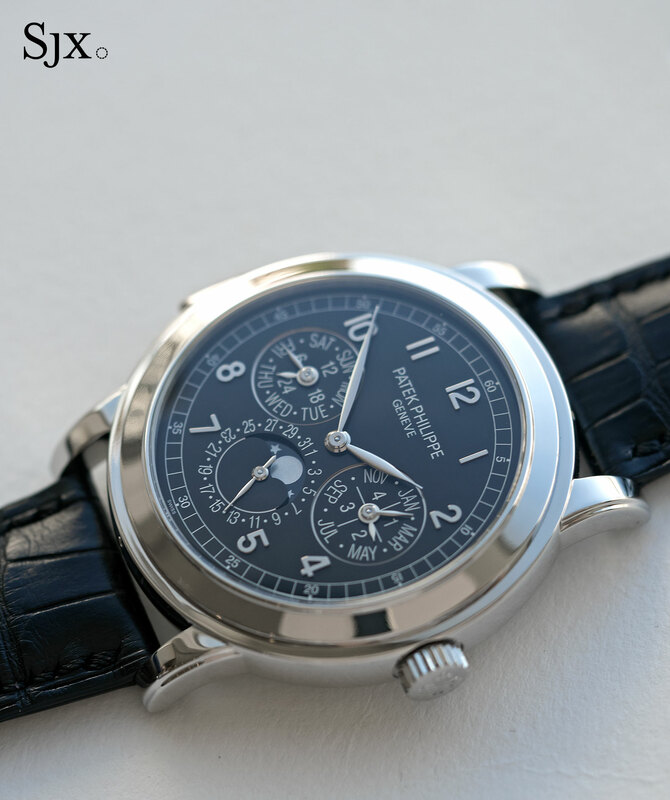 The contemporary watchmaking on offer is headlined by the usual Patek Philippe grand complications – carrying realistic estimates that offer significant savings over retail – as well as esoteric and unusual timepieces, including an early Franck Muller grand complication from a period where the man was still regarded as an independent watchmaker. We take a look at eight picks from the sale (and watch out for the vintage highlights next week). 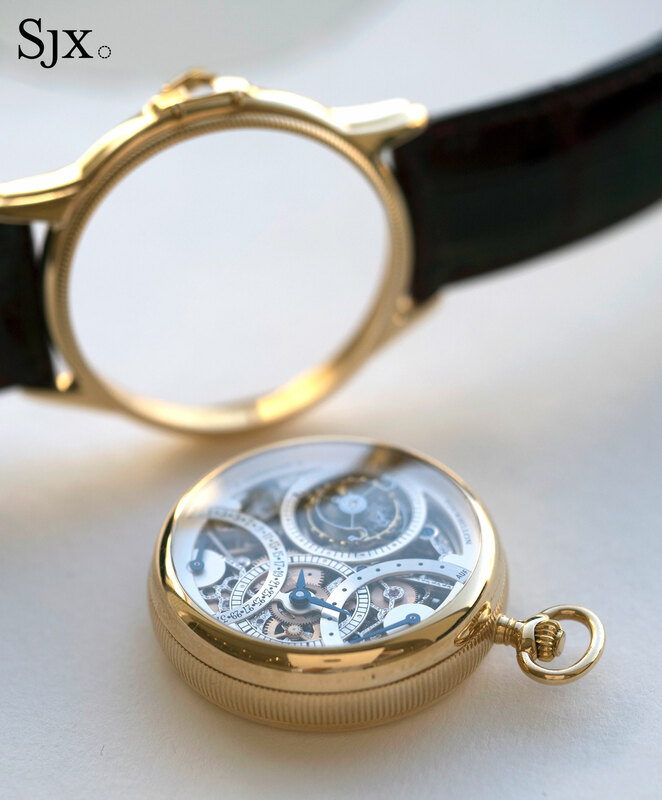 Made by Glashütte Original and named after one of the founders of Glashütte watchmaking, the Julius Assmann 3 is a convertible wristwatch – the watch head can be transformed into a small pocket watch by unclipping it from the case frame. 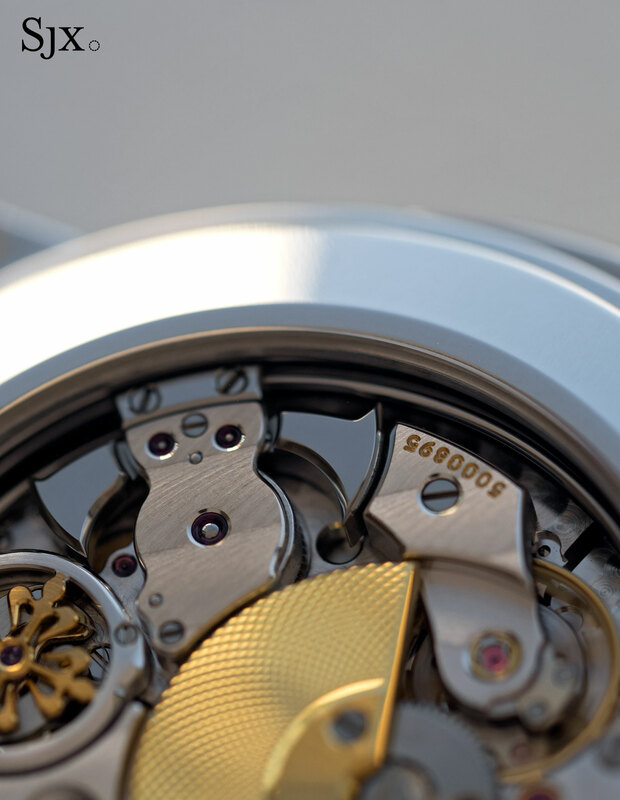 The movement is a hand-wound, in-house calibre with a flying tourbillon constructed in typical Glashütte style. 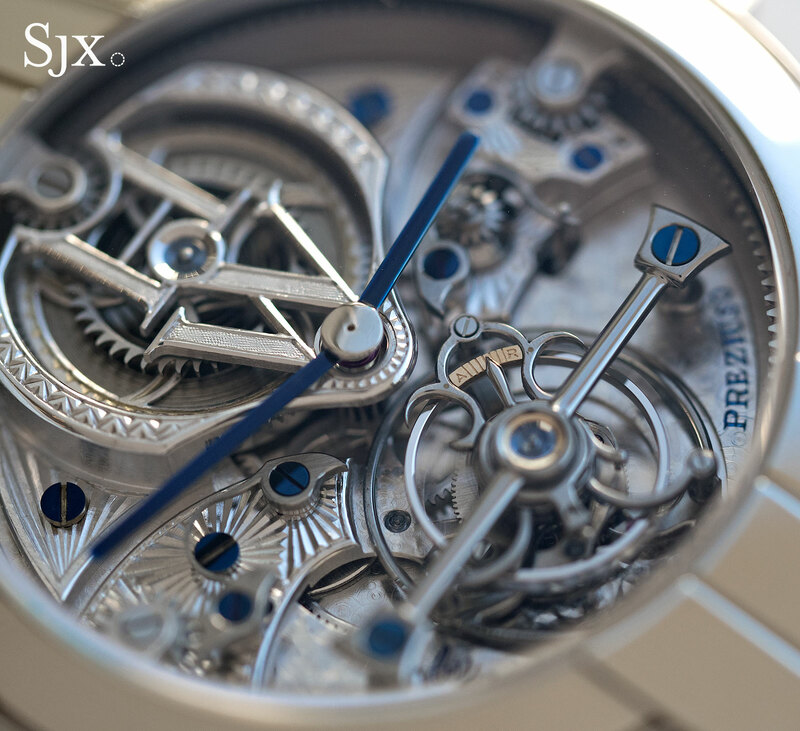 Finished and decorated in an elaborate manner, the movement is skeletonised and engraved, while possessing the hallmarks of Glashütte watchmaking, including jewels in gold chatons and blued steel screws. 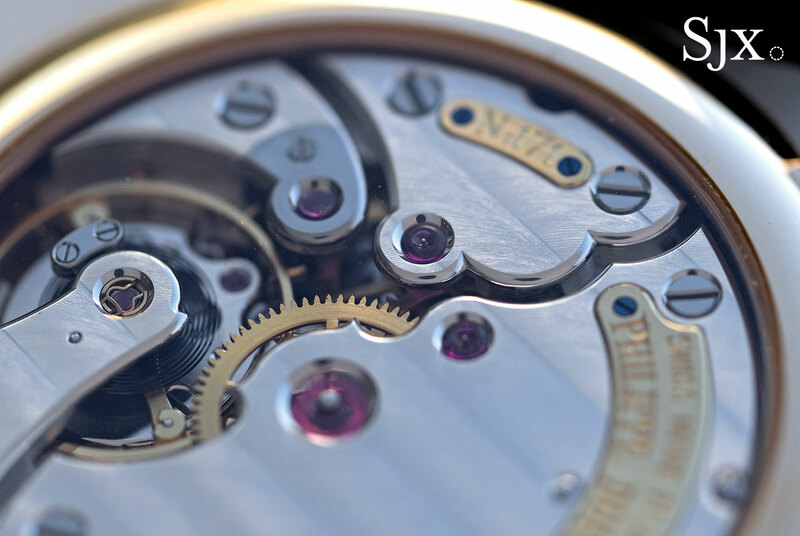 The movement is, in fact, notably well finished, to a degree that’s significantly higher than current Glashütte Original watches, though today’s offerings are notably more affordable. 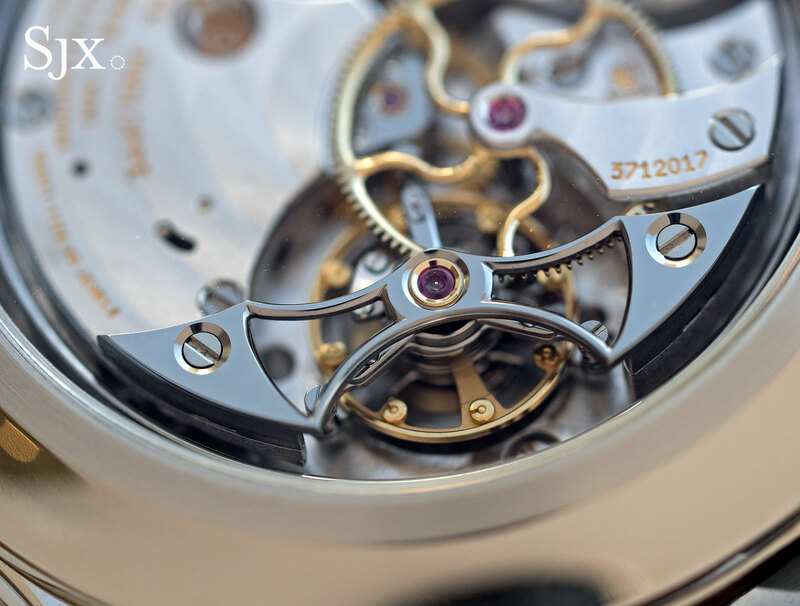 The tourbillon cage, for instance, is fine and slender, while many of the steel parts inside the movement are black polished. 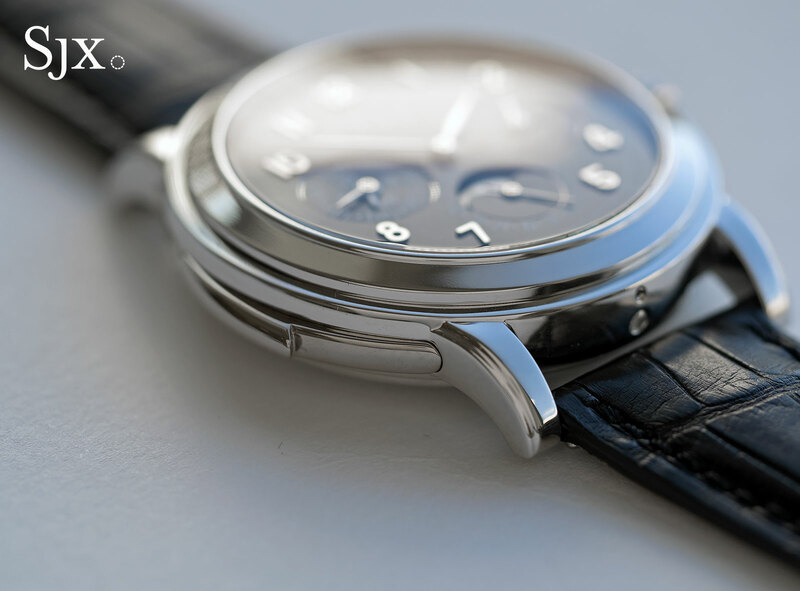 Unusually for a watch of the period – it was launched in 2003 – the case is a largish 40mm and hefty. 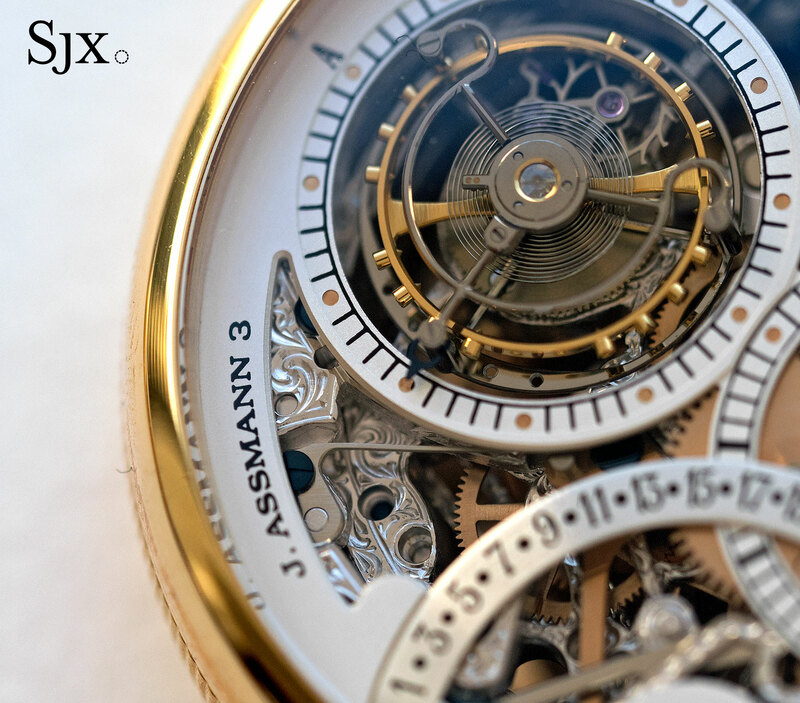 The Julius Assmann 3 was a limited edition of 25 watches, and is estimated at US$24,000 to US$39,000, which is probably as low as a skeleton tourbillon wristwatch can go, making it a strong value buy. 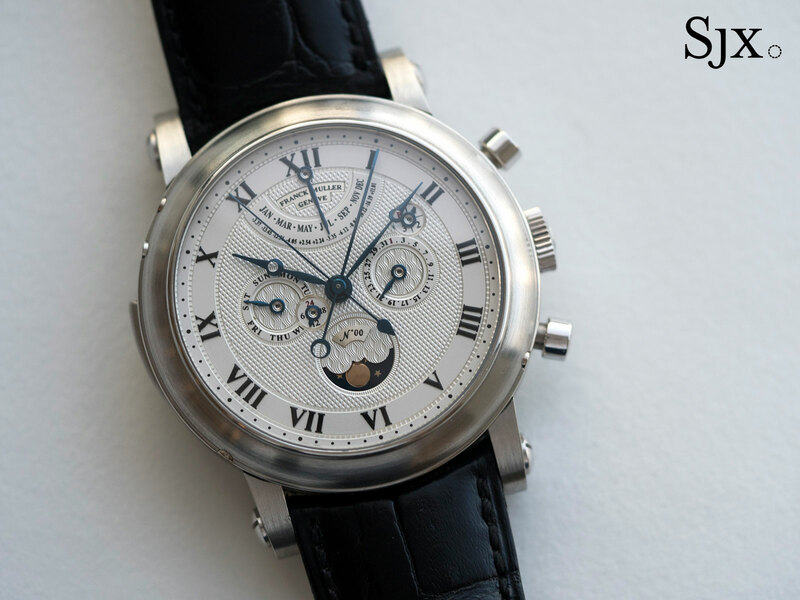 Boasting five complications – minute repeater, tourbillon, perpetual calendar, equation of time and split-seconds chronograph – this early Franck Muller is a literally a lot of watch for the money. 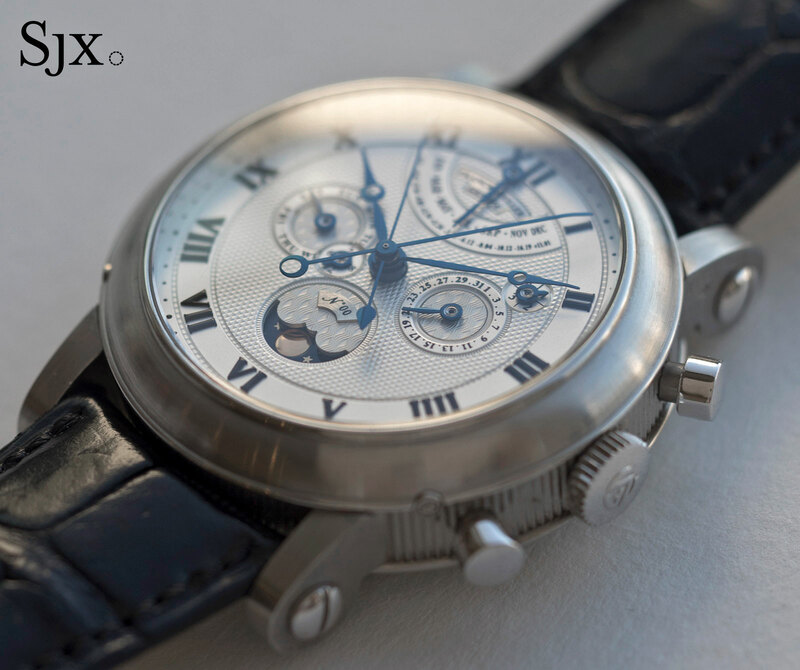 The case is platinum, 42mm and weighty, done in the “Empire” style often used by Franck Muller for his early round watches. 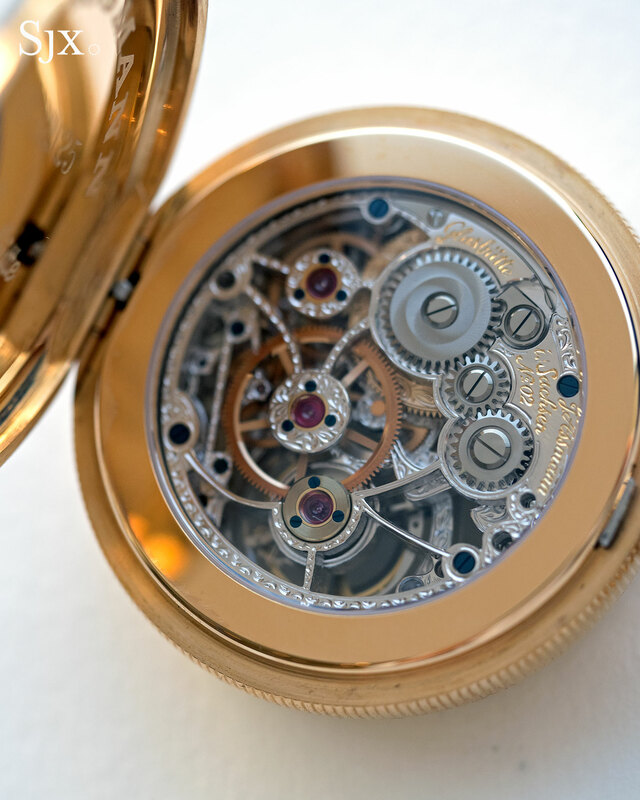 That means Breguet-inspired, with fluted sides and straight lugs tops with large screws, while the back is hand-engraved in large letters. 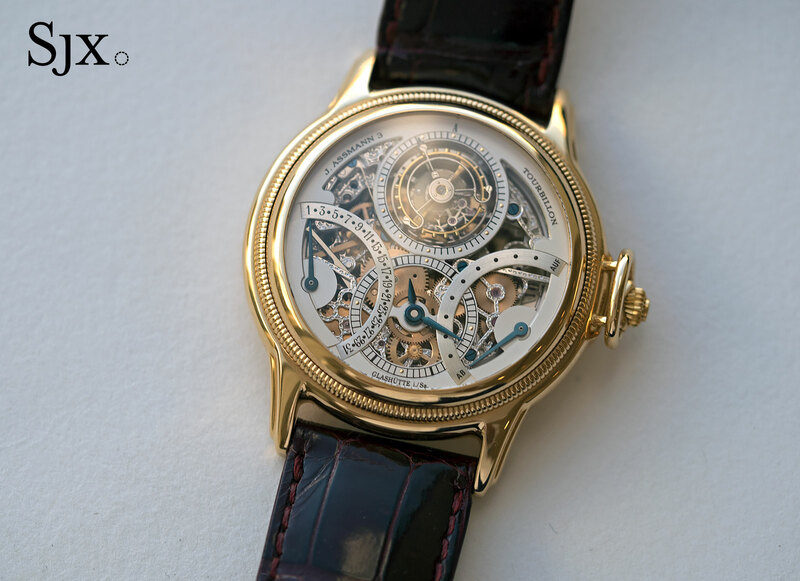 Obviously elaborately and expensively made, the dial is matched in style, decorated with engine-turning and matched with Breguet hands. 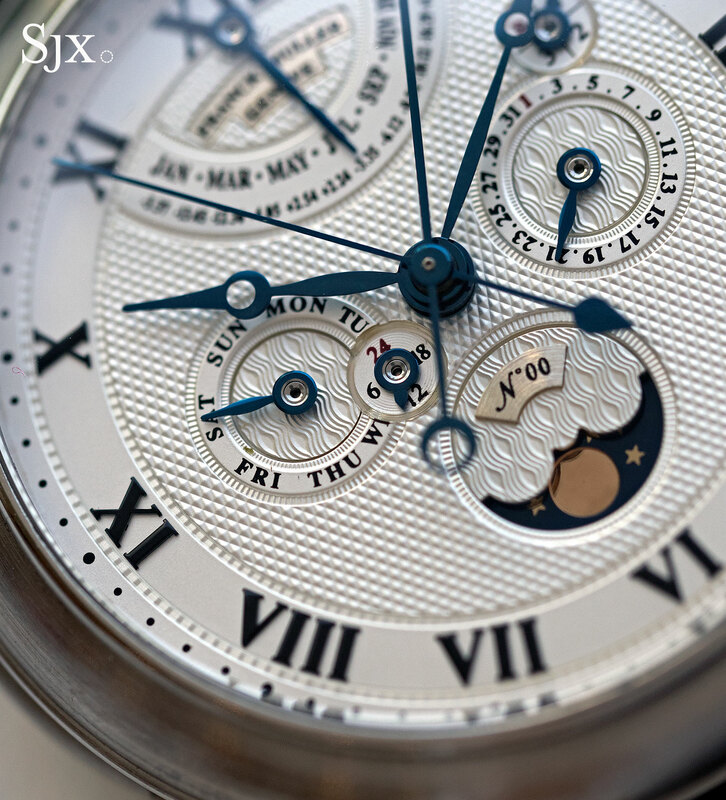 More unusual are the Roman hour numerals, which are applied blued steel, rather than printed as is typical for such dials. 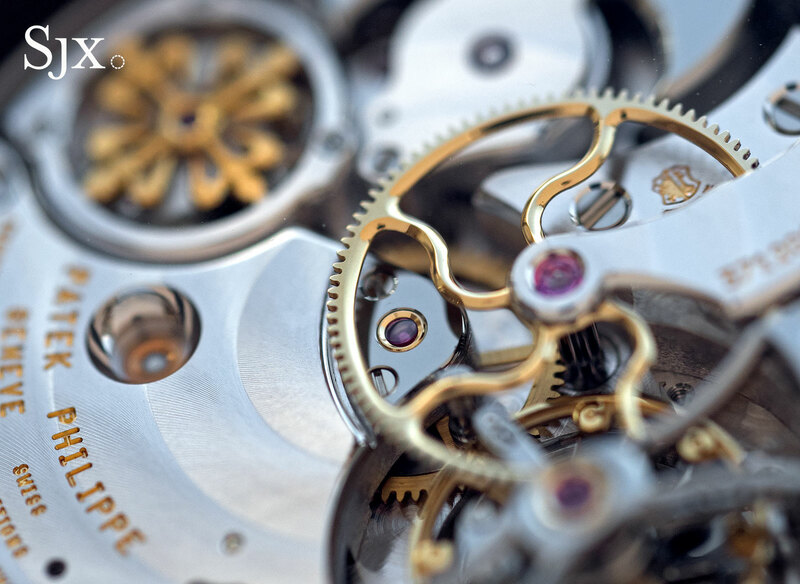 The movement is visually impressive, though recognisable as a contemporary Christophe Claret calibre, rather than a vintage ebauche from the likes of LeCoultre or Piguet that Franck Muller also used at the time. 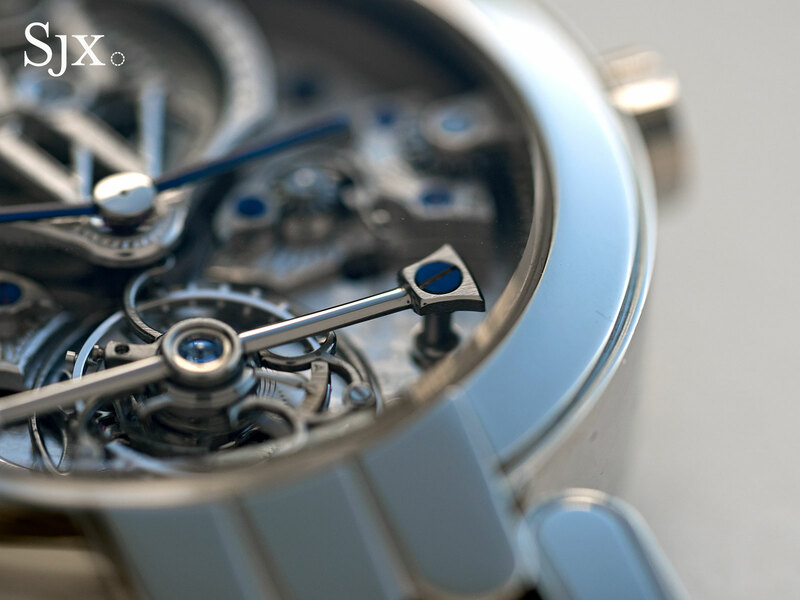 Notably, though it is not described in the catalogue, the tourbillon appears to have a constant force mechanism. The estimate is US$110,000 to US$150,000. 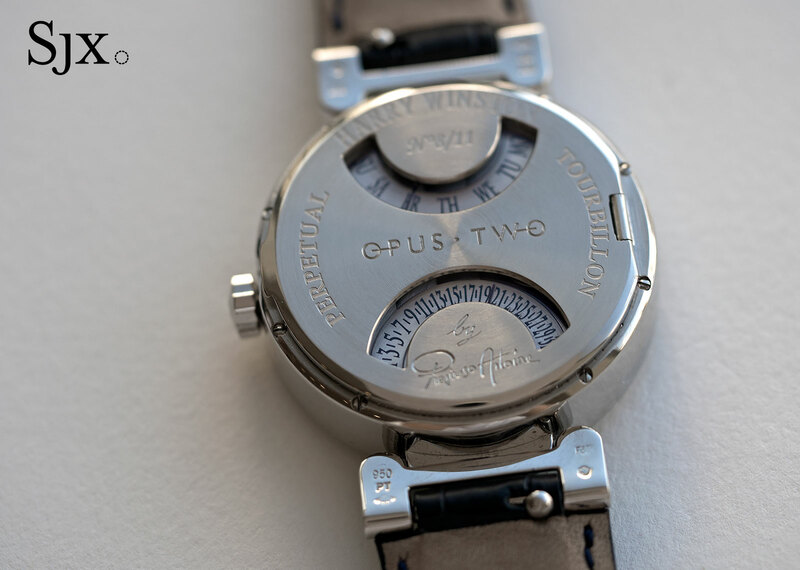 Not a lot needs to be said about the Philippe Dufour Simplicity, which has come up for sale at auction on several occasions in the last year, thanks to the strong demand and values for the watch. It’s simple on the front and lustrous on the back. 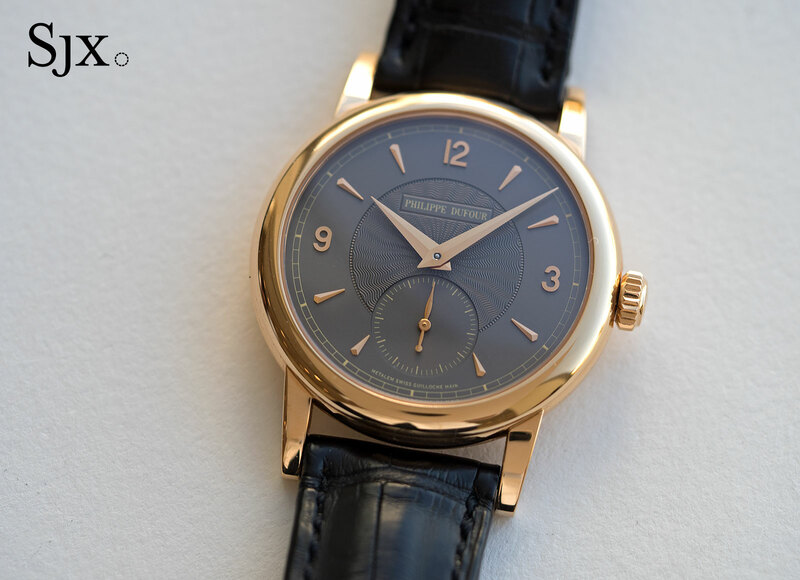 This example is a 37mm model in pink gold, but with an unusual grey dial that is rare though not unique. It’s numbered 171 and was originally sold in 2009. The estimate is US$130,000 to US$230,000. 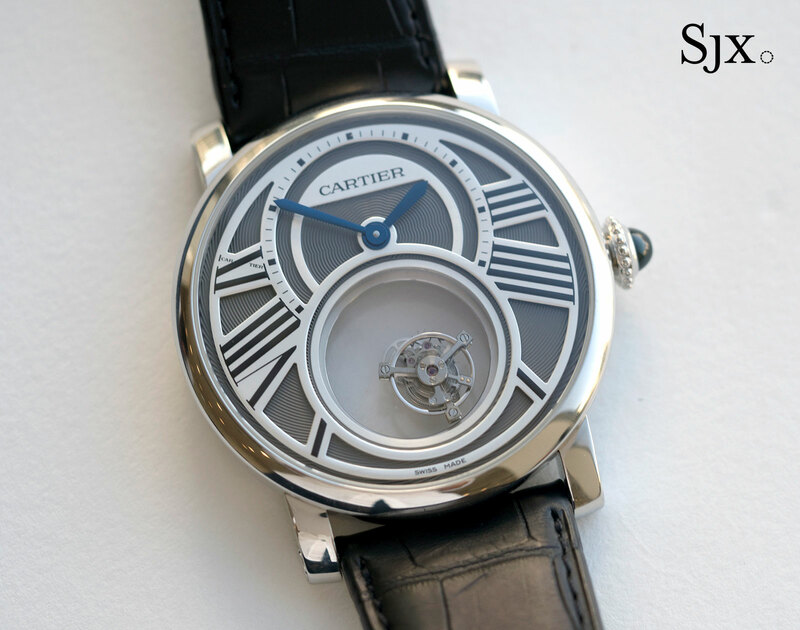 One of the creative movements devised by the inventive Carole Forestier, the chief watch developer at Cartier, the name of the watch explains what it does: the tourbillon moves on two axes, one co-axial with the balance wheel and the other around the aperture at six o’clock. 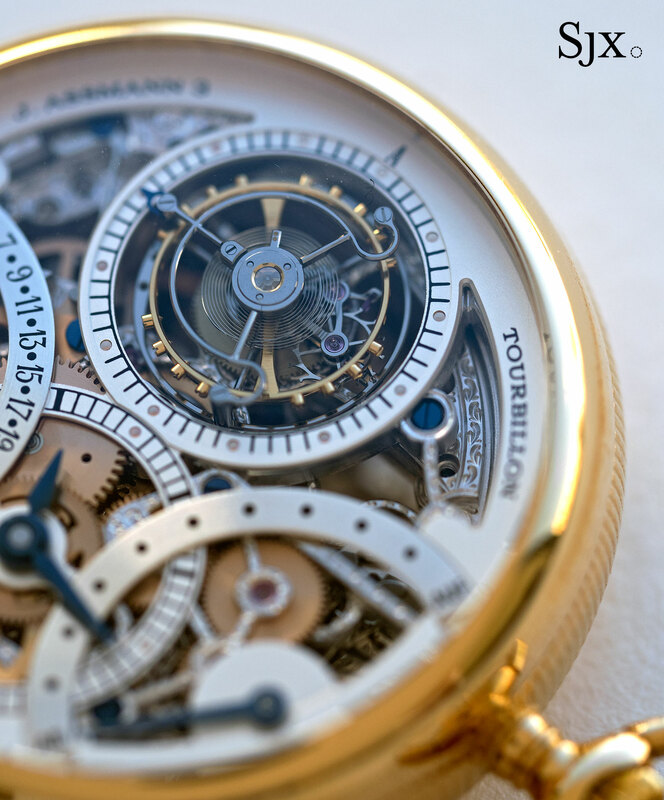 Inspired by the mystery clocks devised by French watchmaker Maurice Couet for Cartier in the 1920s, the tourbillon is mysterious because it appears to be floating in space, with no apparent mechanical connection to the movement. 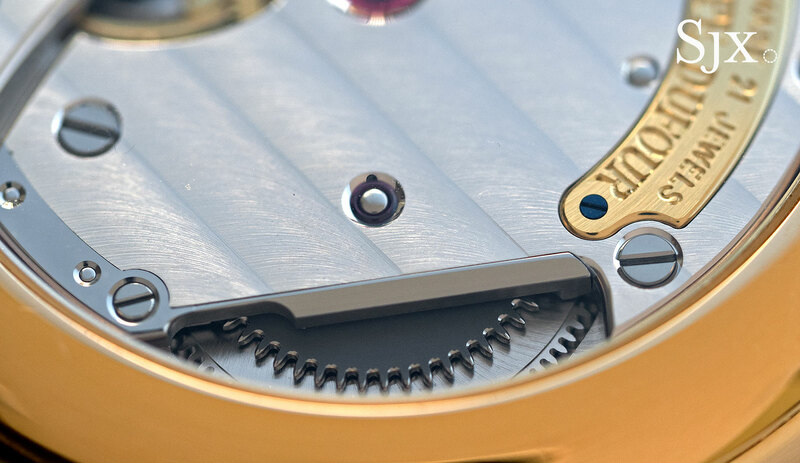 The secret lies on the toothed edge of the sapphire disc on which the tourbillon sits, which is hidden by the dial. 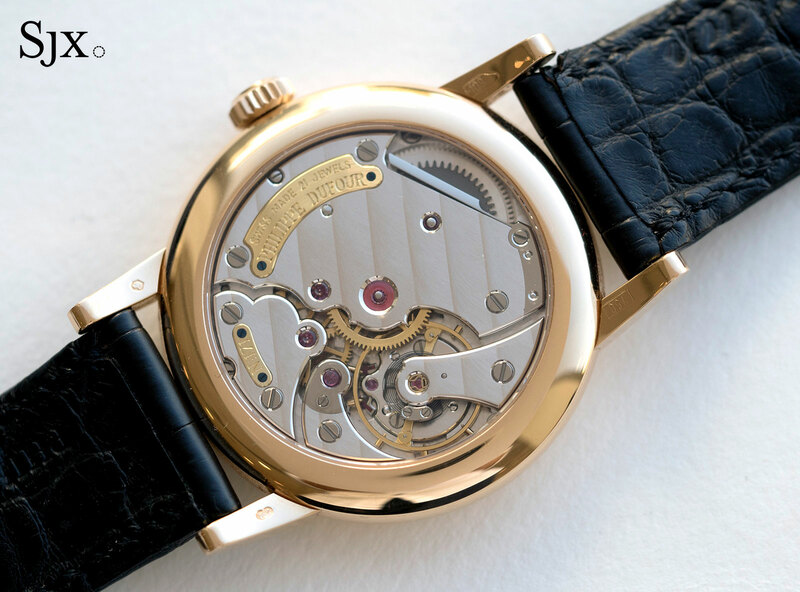 The white gold case is slim, but a large 45mm in diameter. 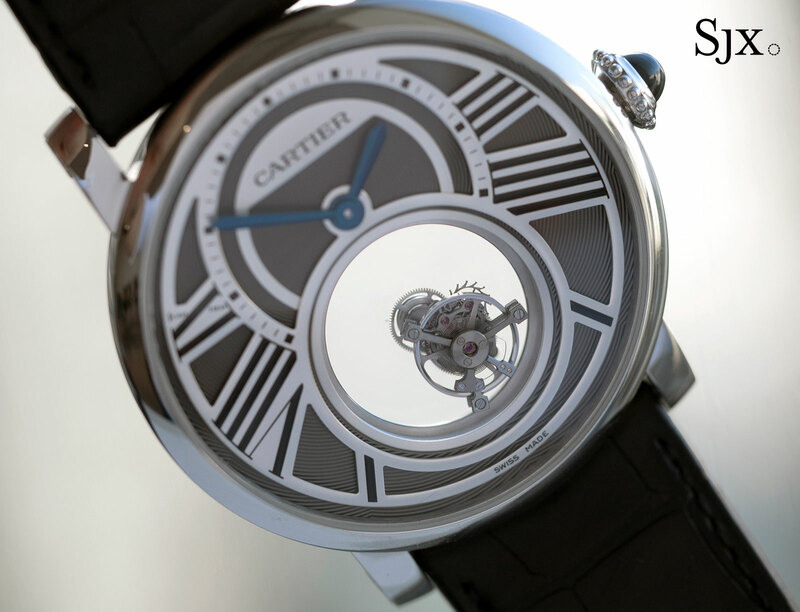 As is often the case with such watches, the Cartier is like new and has all its packaging and accessories. The estimate is US$78,000 to US$100,000. 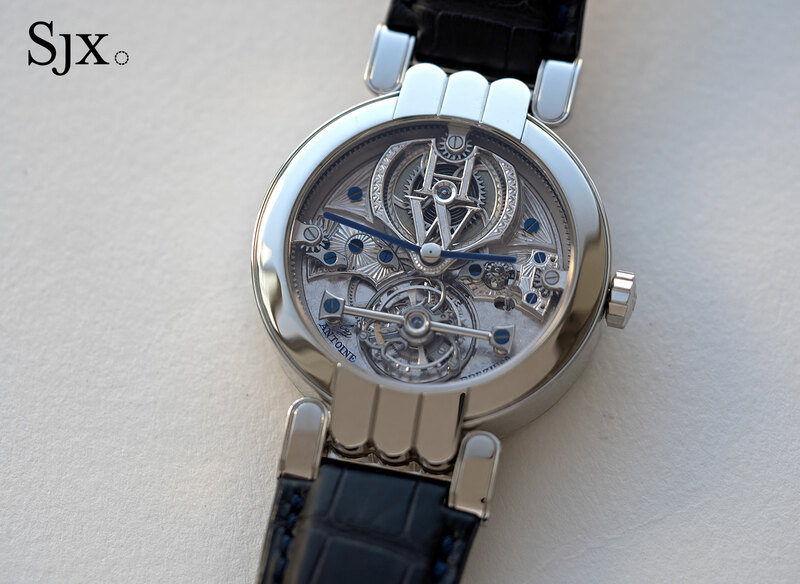 One of the least known watches in the series, the Opus 2 was made by Antoine Preziuso, coming after F.P. 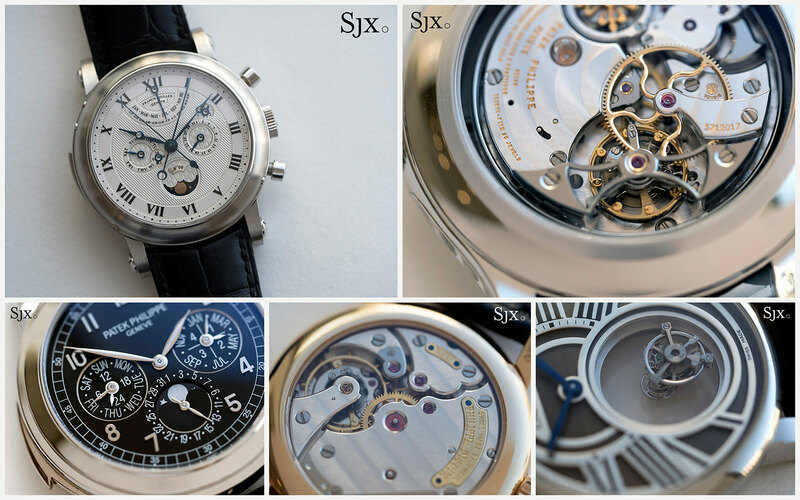 Journe’s creation and before the incessantly postponed Vianney Halter. 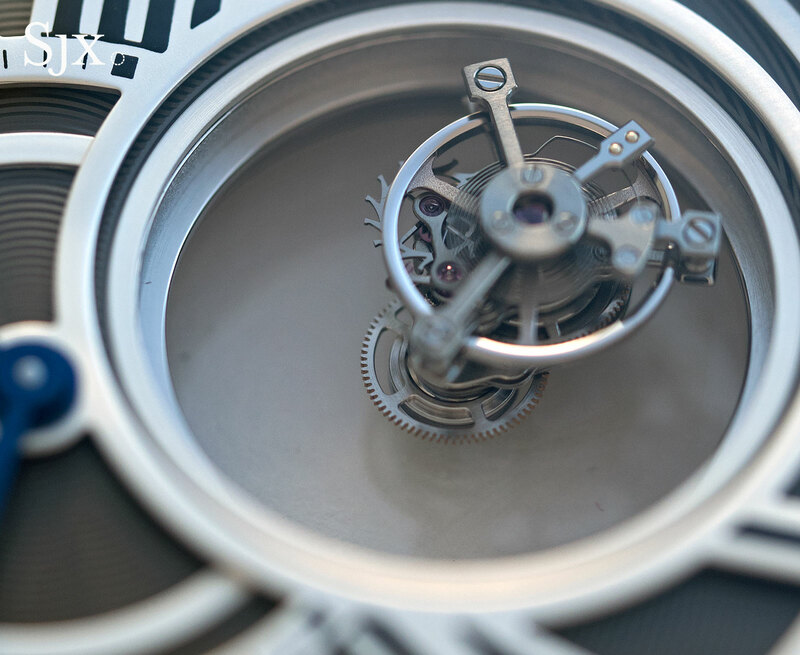 There were two versions of the Opus 2, and this is the more complicated, having a tourbillon as well as double retrograde perpetual calendar on the back, and as it happens, an impressive 100-hour power reserve on a single barrel. 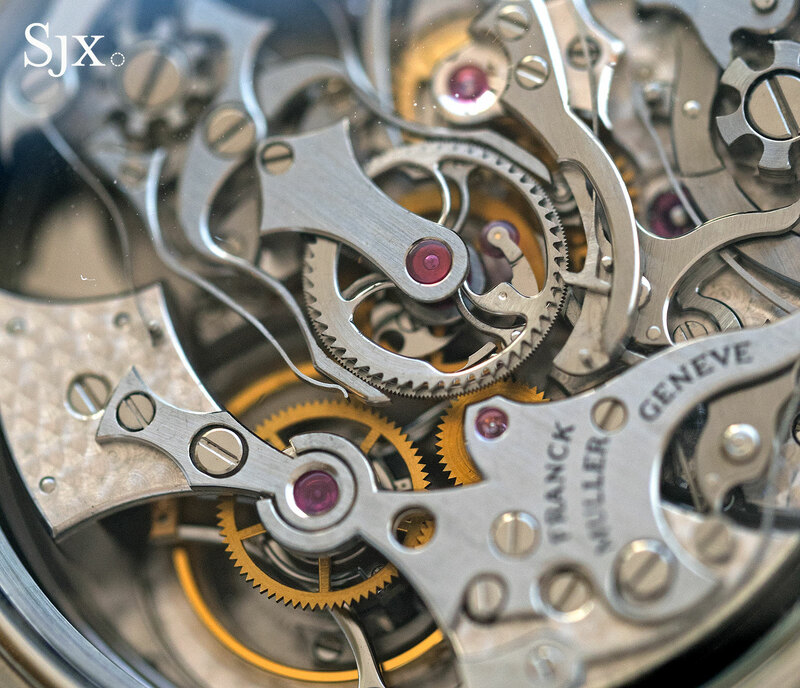 Though Antoine Preziuso conceived and completed the watch, the base movement is a Christophe Claret, with the shape of the tourbillon cage being a giveaway (explaining why it’s almost identical to that in the Franck Muller above). 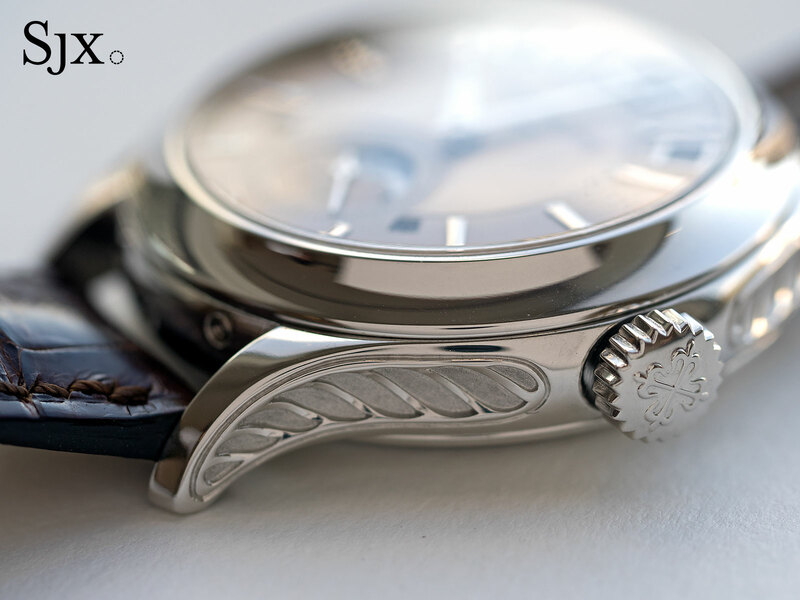 The front of the watch is elaborately engraved with a motif modelled on the wrought ironwork over the entrance to the original Harry Winston store in New York. 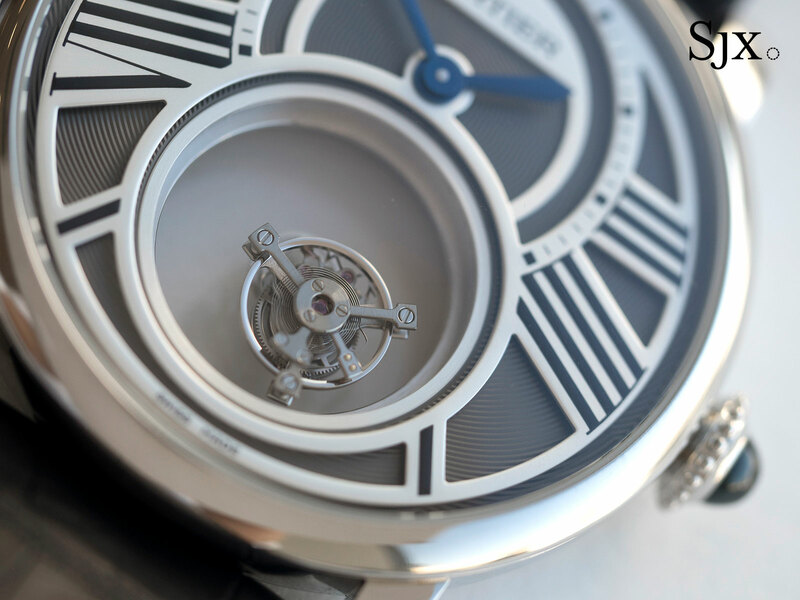 A particularly impressive detail is the steel tourbillon bridge that has rounded arms and sharp corners on each end. 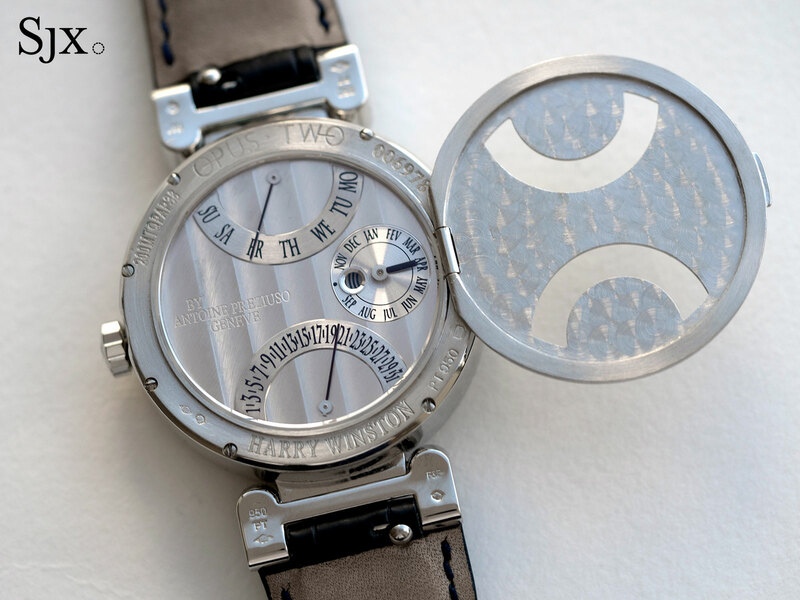 And a hinged back shows only the day and date, revealing the month only when lifted. 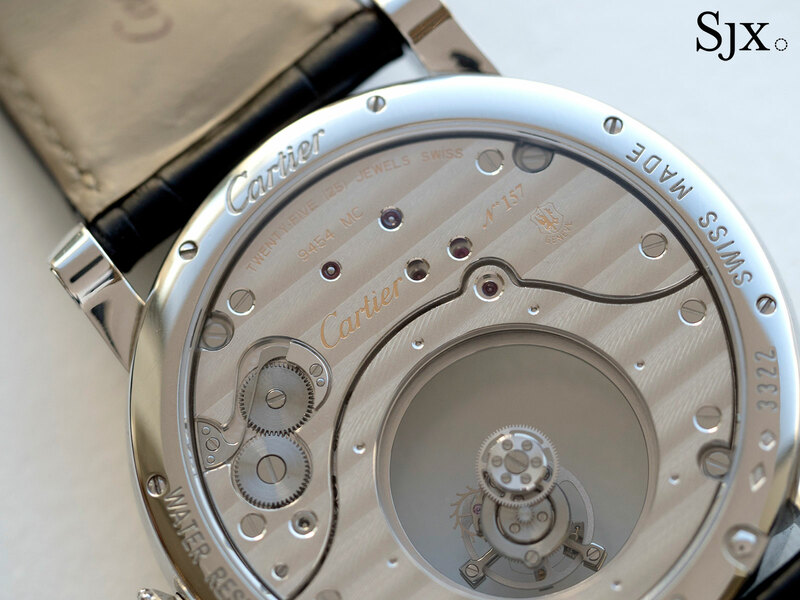 Compact at 38mm in diameter, the watch is like new and complete with all packaging. The estimate is US$71,000 to US$100,000. 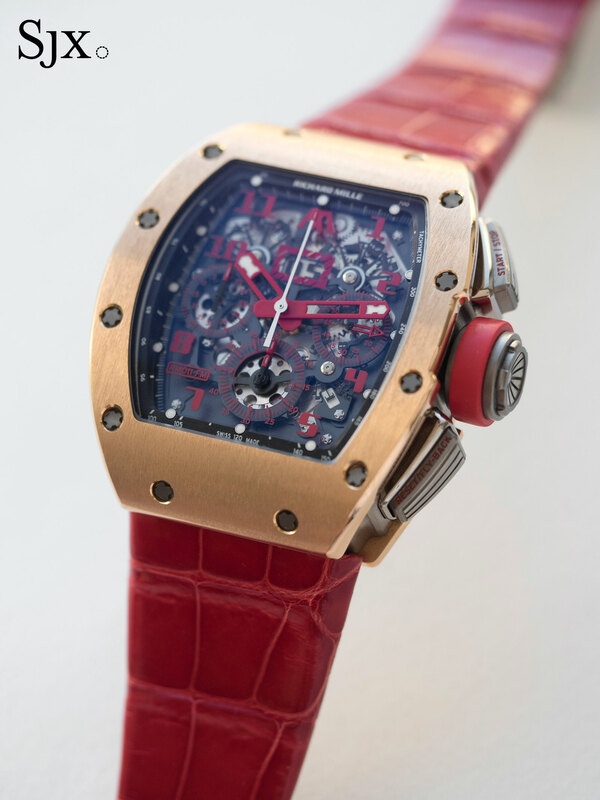 Richard Mille was one of several watchmakers to produce limited editions for Marcus, a high-end watch store in London that recently closed its flagship Bond Street premises pending a move in 2018. 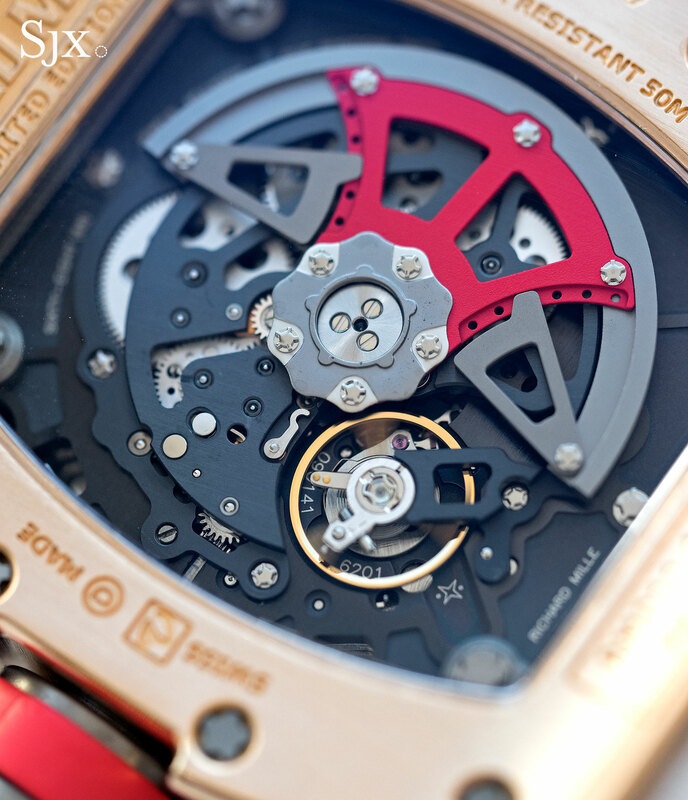 All of the Marcus editions were characterised by bright red accents, and so it is with the RM011, one of a limited edition of five from 2013. 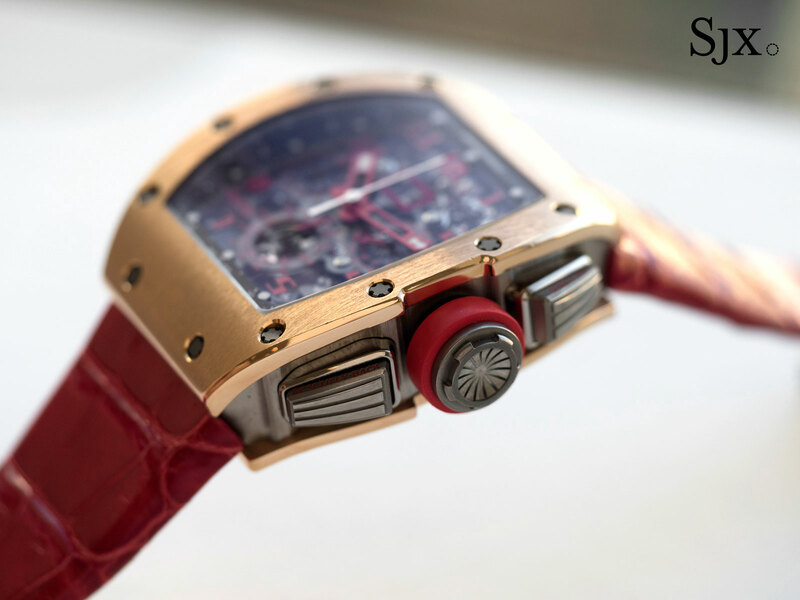 While there have been innumerable versions of the RM 11, the Marcus edition has a striking look that’s hard to miss. 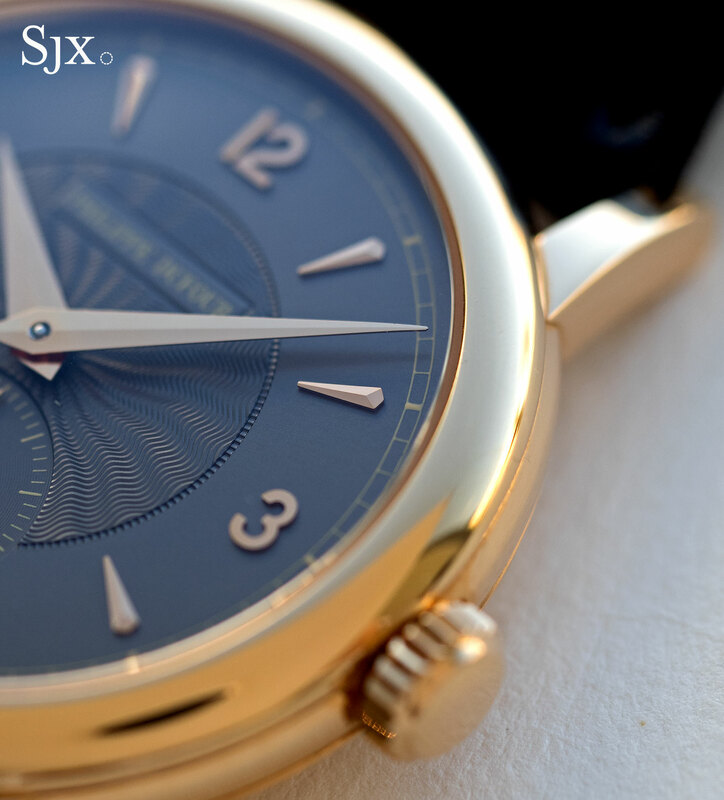 Though the brushed finish on the gold case is relatively delicate, this watch has been maintained in crisp condition. 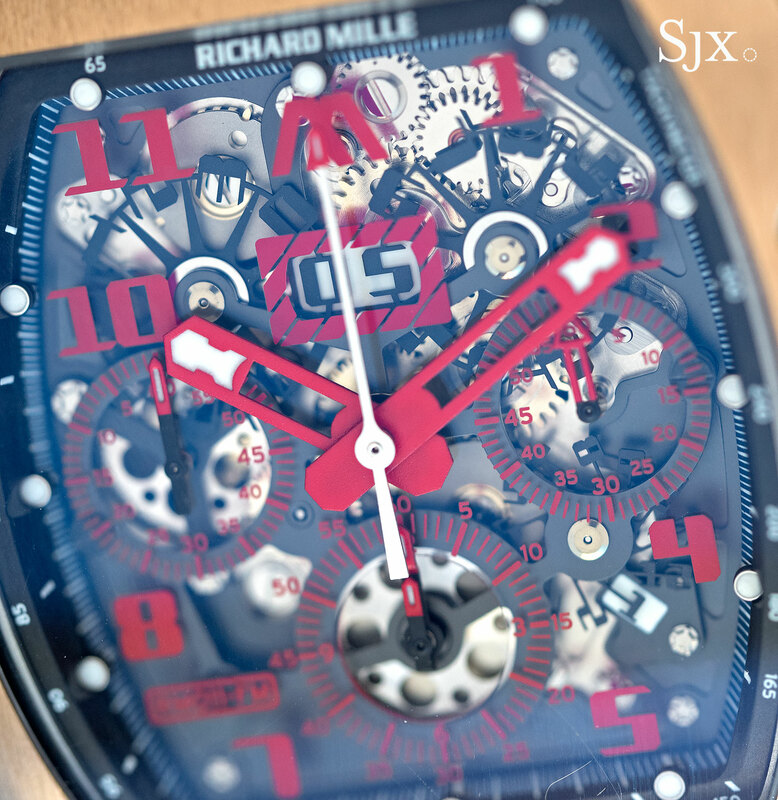 Because Richard Mille is arguably the hottest watch brand in the world now, the estimate tacks close to the original retail, at US$110,000 to US$150,000. 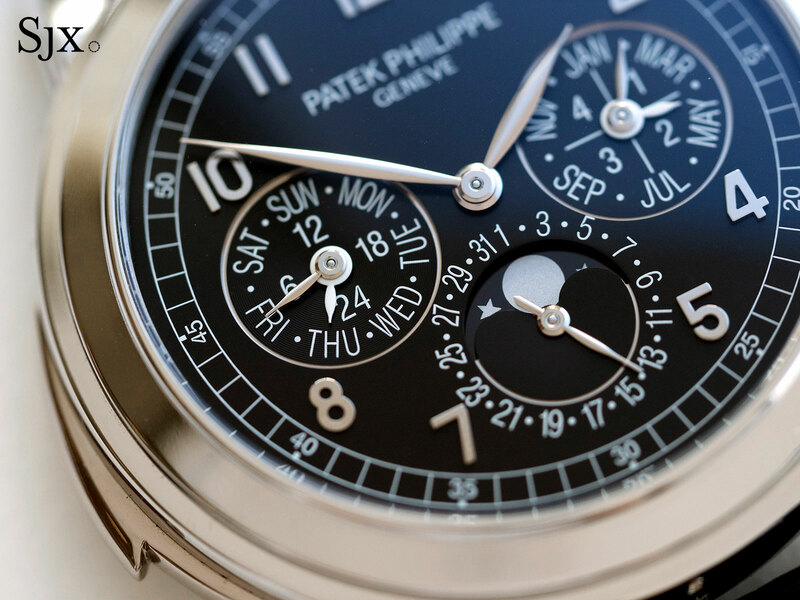 One of the most complicated watches Patek Philippe produces, the ref. 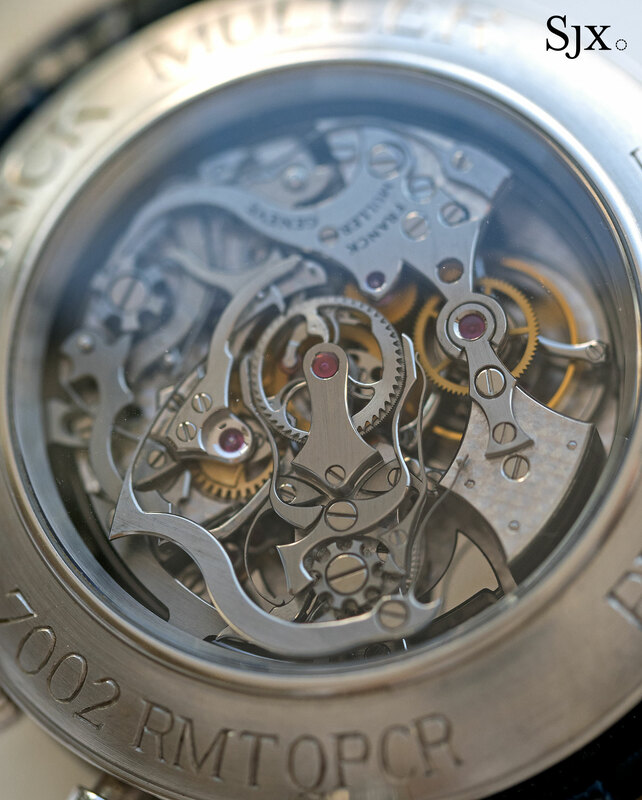 5074P is a cathedral gong minute repeater with perpetual calendar. 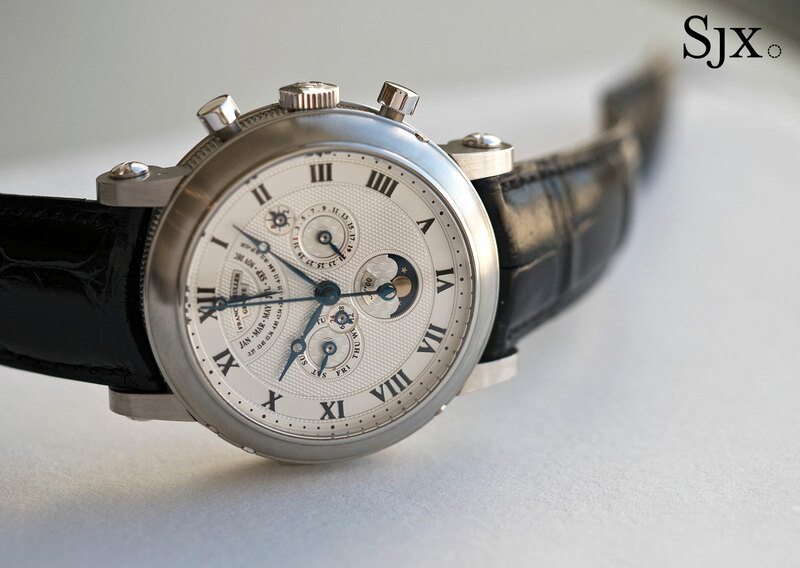 This 2012 specimen is in platinum with a black dial. 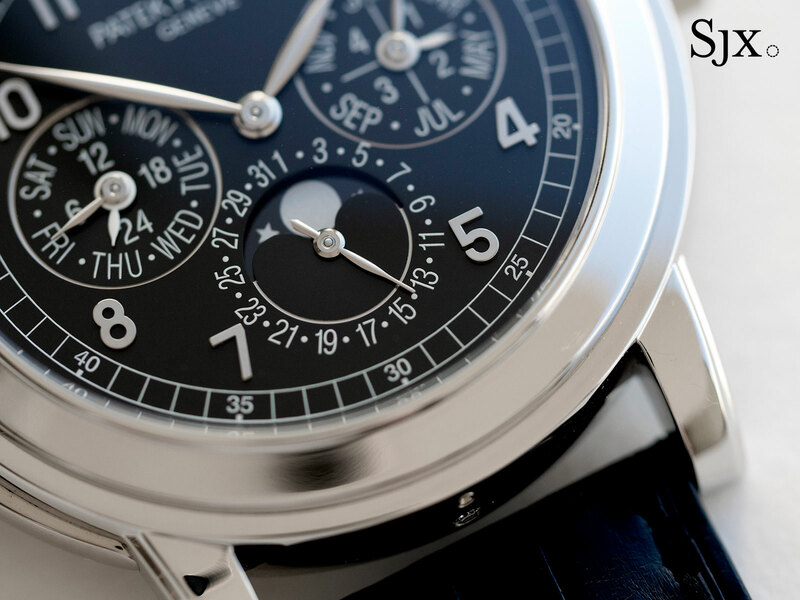 The case is 42mm, with a wide, polished bezel, giving this more wrist presence than the average classically styled Patek Philippe grand complication. 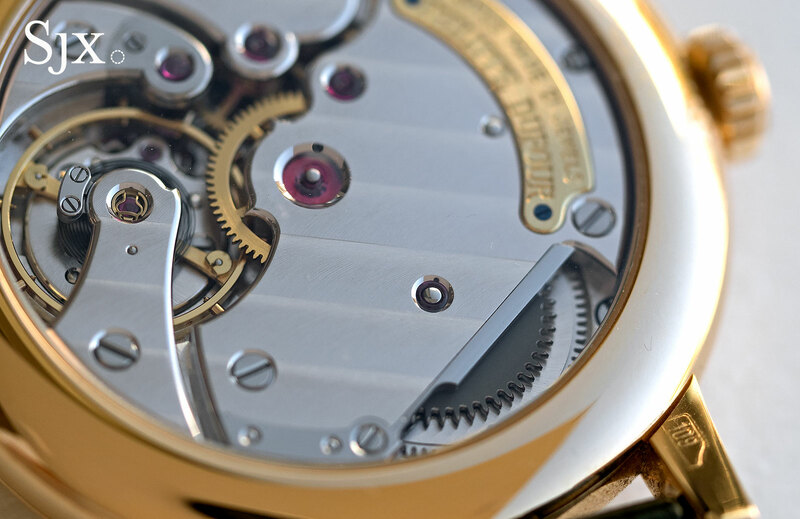 The movement is notably complex for such a complicated calibre, characterised by an engine-turned micro-rotor that’s artfully position just over the balance wheel. 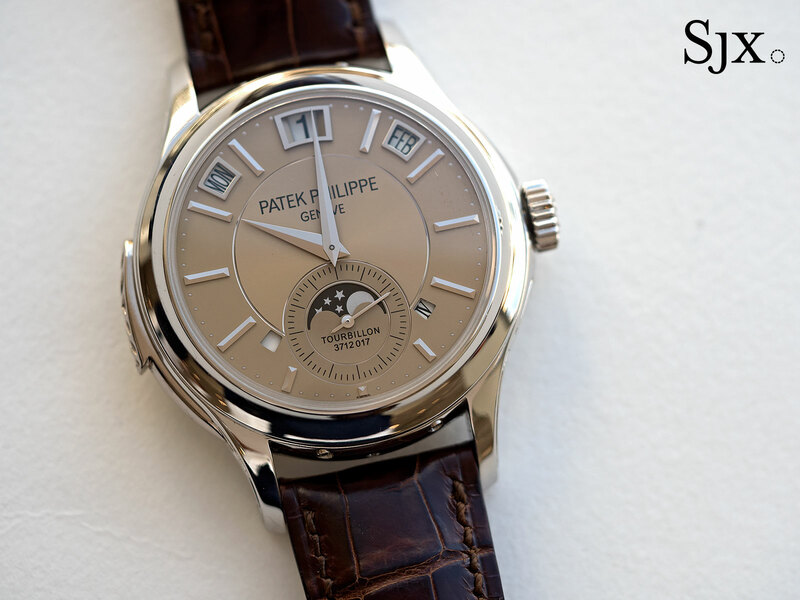 Because it is only accompanied by an archive extract, coupled with the soft market for top of the line Patek Philippe complications, the ref. 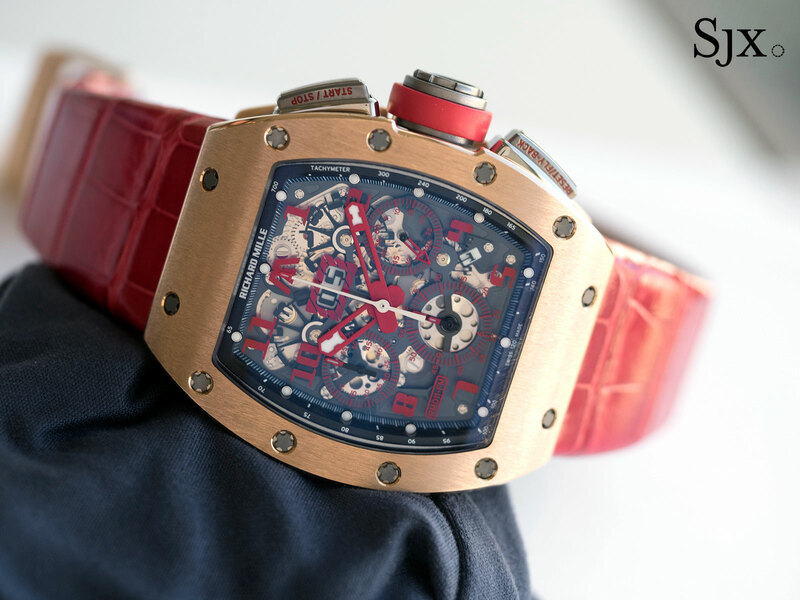 5074P has a lower than usual estimate of US$340,000 to US$510,000. Even grander than the “grand comp” above is the ref. 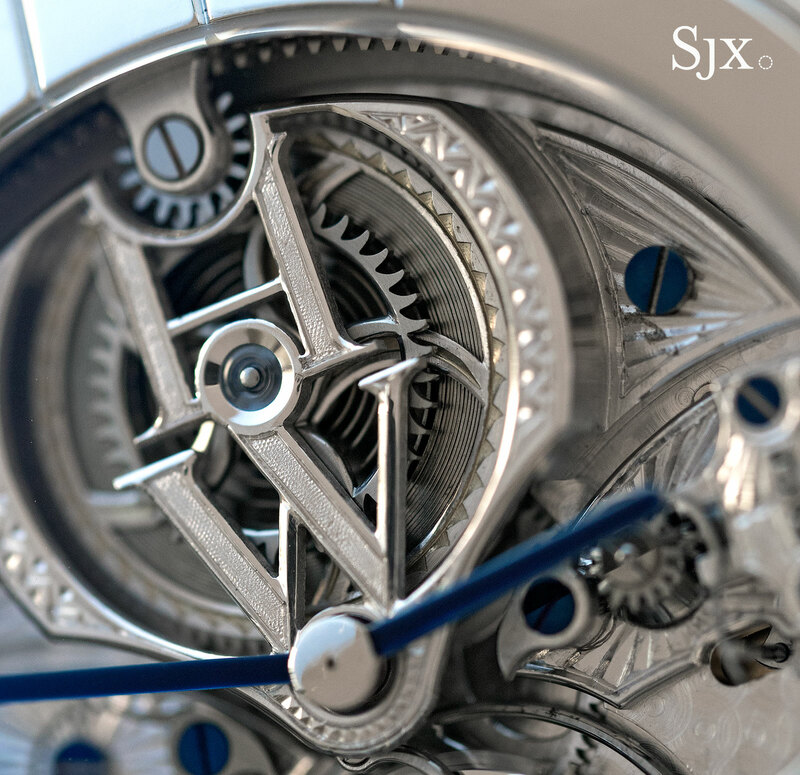 5207P, which is an instantaneous perpetual calendar, tourbillon and minute repeater. 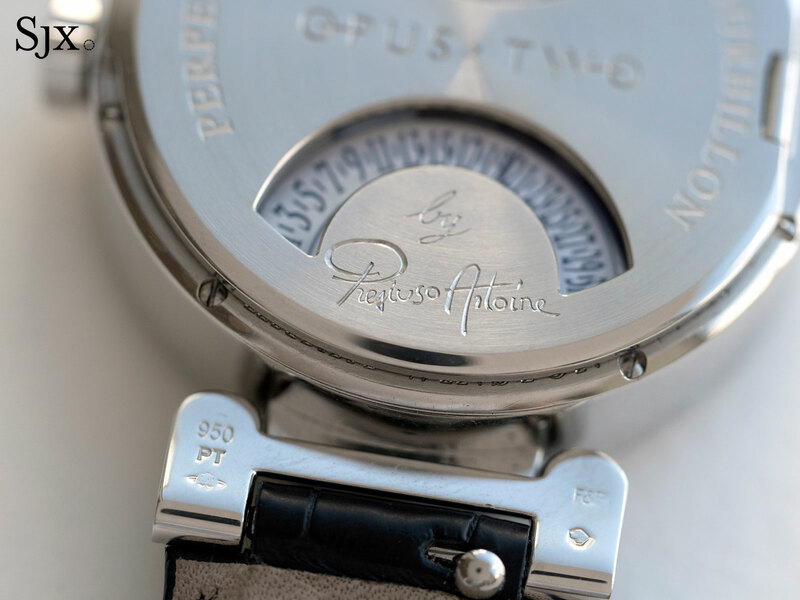 The platinum case is a largish 41mm, and decorated with relief engraving on its flanks. The best view, however, is from the back. 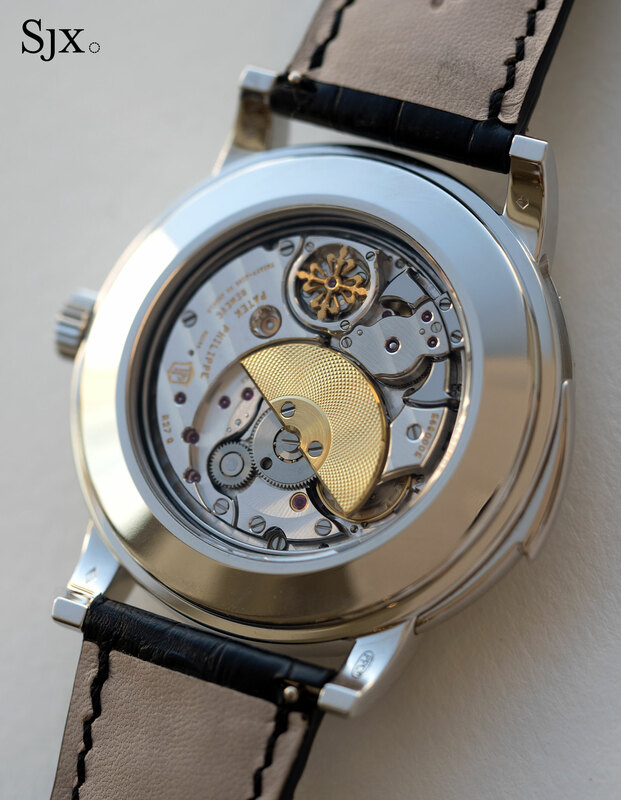 The RTO 27 PS QI is a relatively small movement, but delicately decorated. 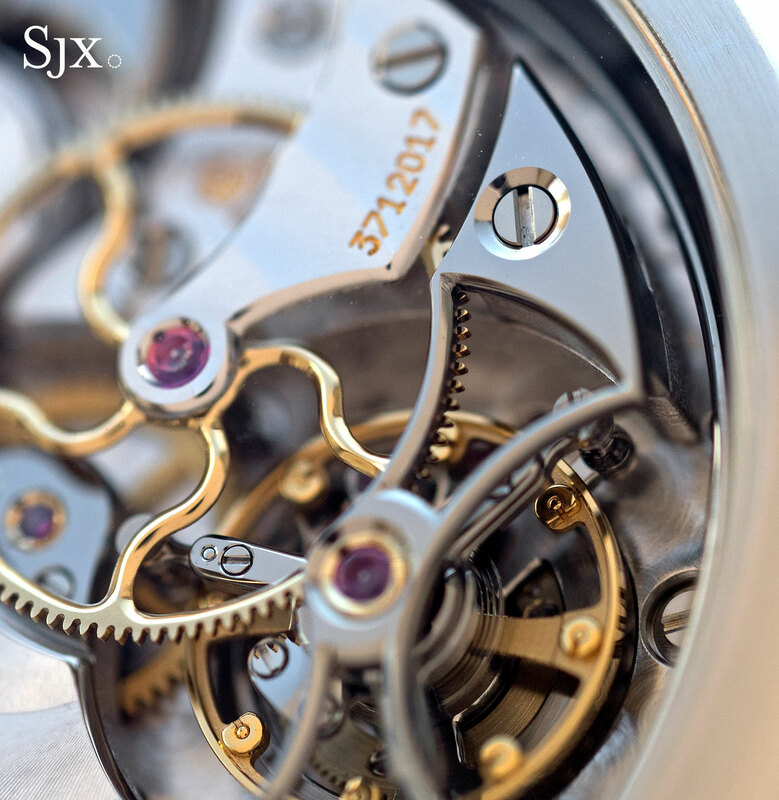 The solid gold “octopus” wheel in the centre is a masterpiece of finishing. The ref. 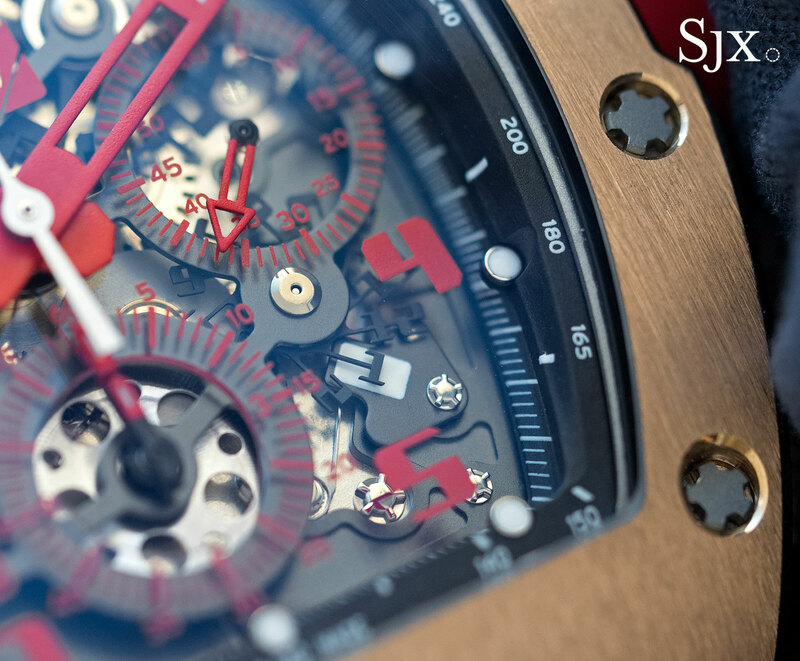 5207P is complete with packaging and paperwork, and is estimated at US$490,000 to US$620,000, significantly less than its retail price of almost US$900,000. 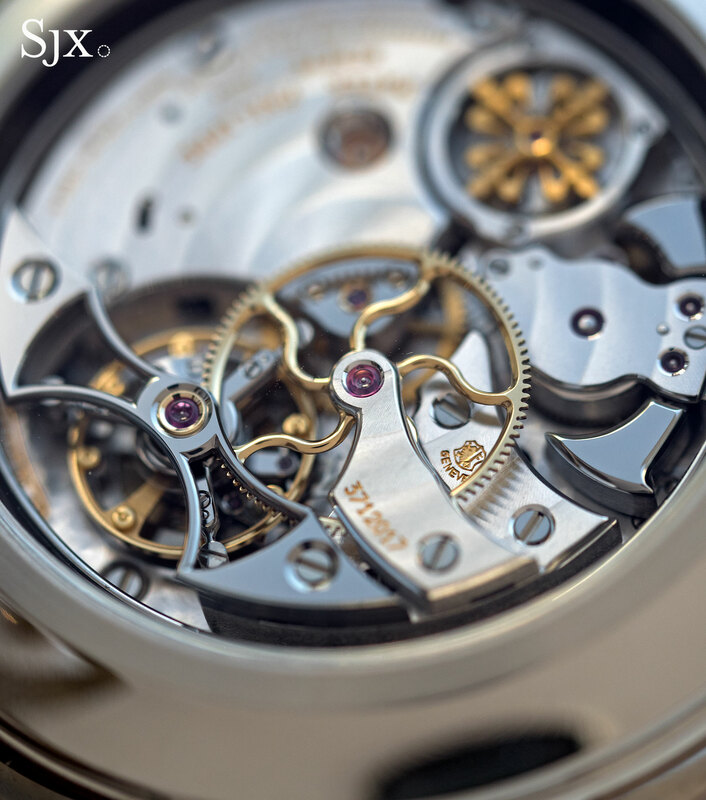 The full e-catalogue is available online. The preview exhibition takes place from November 24 to 26 at the Grand Hall of the Hong Kong Convention and Exhibition Centre. The auction happens at the same venue on November 27, starting at 1pm.